Heirloom quality furnishings, thoughtfully designed and built by hand in California. 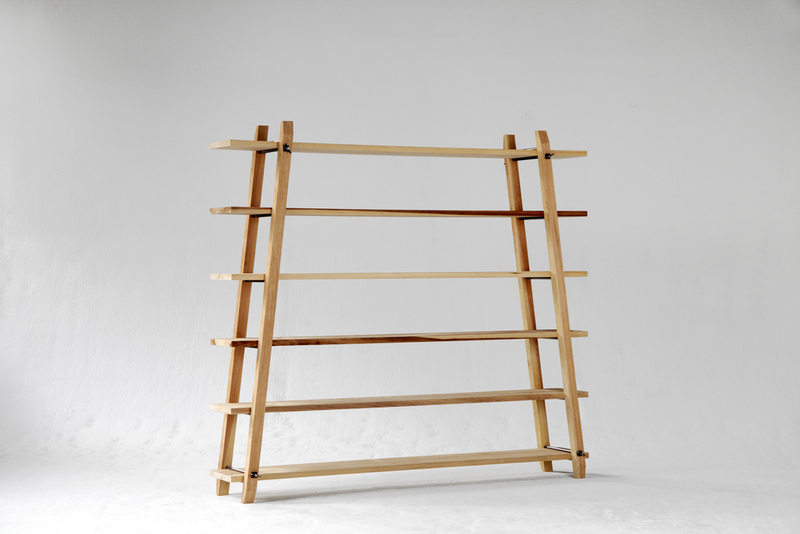 The inspiration for this clean, sturdy shelving unit came from my grandad's handscrew clamp. These utilitarian forms do not detract from what they hold, and are built for the long haul. 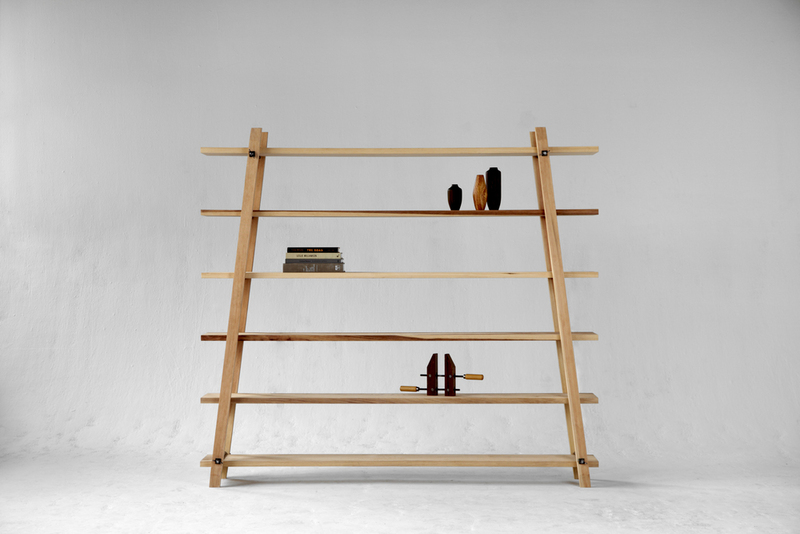 The top and bottom shelves are pinched between pairs of steel rods, secured with cast iron wing nuts. Stability increases as the ladders lean in with additional weight- and there are no screws to strip out. The unit can be packed flat in minutes by loosening the 4 wing nuts and a few mallet taps. Solid American cypress is strong, light, rot-resistant, and plentiful. It can be beautiful too. The grain texture is revealed by wire brushing in the traditional Japanese style. The Fisk shelving system can be configured as a media center with the available enclosed case. Shown here in solid ash & walnut with lacquered sliding doors. Here the unit is configured as a bar. The case can be positioned in place of any shelf, excluding the top. The rich patina is achieved by oxidizing the wood's natural tannins with vinegar and iron. This centuries-old technique turns the walnut a deep ebony and brings out shades of amber, gold & green from the white ash, which vary from board to board. 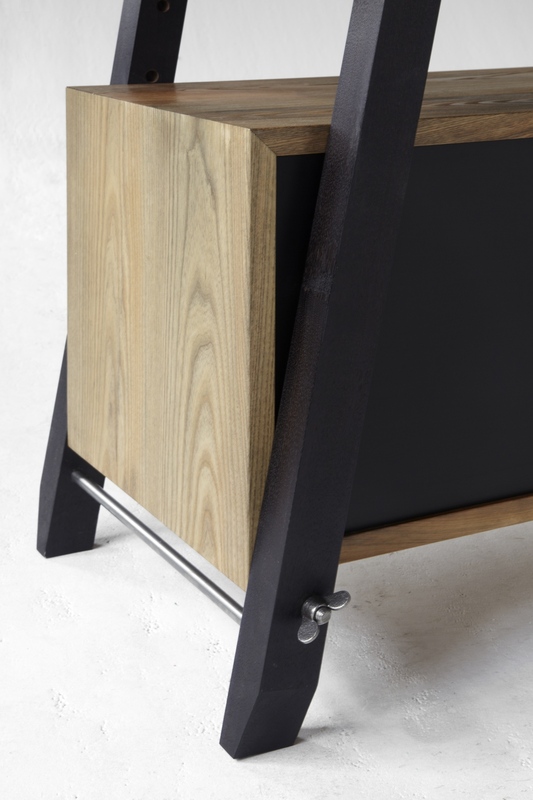 This multi-function table was inspired by a wallpaper hanger's portable work station. The steel legs scissor to adjust height and width. The perfect solution for a kitchen short on counter space, and always ready for unexpected dinner guests. A real two-way player. 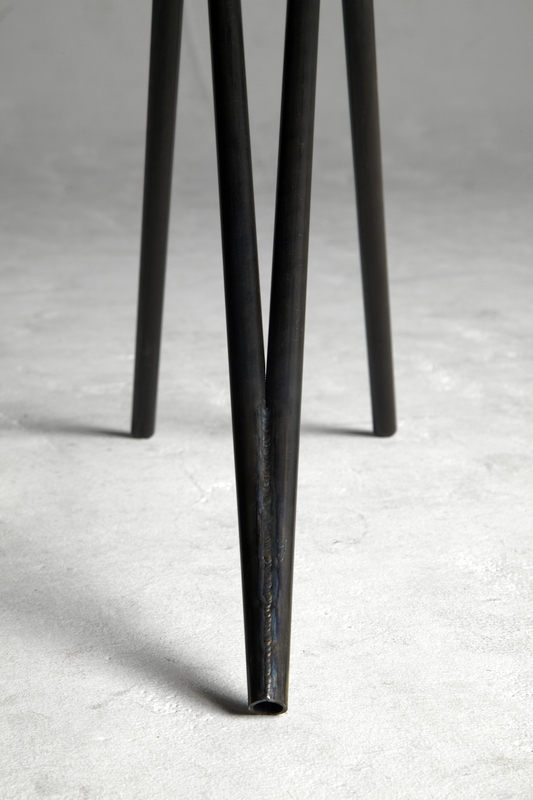 Configured as a 72" by 40" dining table, the Larmer table can seat 6 comfortably, 8 intimately. With the cypress top folded lengthwise and the legs locked in their raised position, the dining table becomes a 20" wide, counter-height kitchen island, standing desk or console table. The slides are locked in place with one twist of a cam handle, for quick and easy changeover from counter to dining. As always, custom powder coating colors and wood species are available on request.